When thinking of the New Year we often are faced with New Year’s Resolutions … to make them or not to make them, that is the question. More often than not, there are the tried and true resolutions we fall back on; start a diet; read more; go back to school; write that novel; etc. When jotting down your resolutions, do you pause to consider how the New Year should include more self-care? If the answer is yes, then move this goal to the top of the list. If you’re only able to achieve one resolution this year, self care should be a priority. There are alternative methods of wellness including meditation, mindfulness, and touch therapy, all of which can meet this task with astounding results. If the answer is a resolute no, then perhaps it is time for some self-rumination; why do individuals withhold themselves from the self love and care they both require and deserve? New research has found increasingly proven benefits of touch therapy in combating stress-related anxiety and fatigue, and easing the body and mind. It is exactly the sort of therapeutic care and attention that is necessary for a sound body and mind. People experience the effects of stress and anxiety quite differently. The most common negative effects of aching muscles and frequent headaches are often attributed to other factors and are all too often ignored when, in fact, the problems go beyond the stereotypical effects and begin to negatively impact bodies in frightening ways. Our bodies are primed with a carnal “fight or flight” response. This response is ideally triggered by a fear or stress-inducing stimulus. When the body is constantly under a state of stress, it begins to wear away at the cardiovascular and respiratory systems by affecting breathing and heart rate. Breath-intake becomes short and restricted, and a chronically-increased heart rate could lead to hypertension, a stroke, or even a heart attack. The digestive system may also begin acting up, introducing an acid reflux into the system, loss of appetite, nausea, and vomiting. The muscles become tensed up, prone to aches, and perpetually fatigued. Even the immune system experiences the brunt of stress: people under chronic stress are more vulnerable to catching colds, viruses and the flu more frequently. Stress also wreaks havoc in the reproductive system. Women may begin to experience irregular menstrual cycles, and both males and females can undergo drops in libido and fertility. Keeping in mind all of possible impacts stress can wreck on the body, the science behind touch therapy becomes all the more logical and appealing; sometimes the body needs to feel a warm, soothing touch to ease back into its normal functioning. The negative effects of stress and anxiety are not limited to the body alone. In fact, stress perhaps causes more mayhem in the mind than it does in the body and can lead to depression and anxiety. These two conditions may gradually evolve into clinical mental disorders, and lead to a chronically fatigued, tumultuous state of mind. People suffering from depression often state similar symptoms: inability to empathize broadly; inability to engage actively in life; and inability to feel positive, productive, or content. They also cite insomnia, irritability, isolation, and changing eating patterns as common symptoms. For the more severe cases, a constantly stressed mind may give way to instances of amnesia, a sudden growth in obsessive-compulsive disorders, or the development of illogical phobias and fears. A mind under constant fatigue can form hallucinations, can convince itself that paranoia is rational reasoning, and, in young-adults, can even be the onset to a case of schizophrenia. Traditional therapy is usually the first line of defense in the case of any form of depression or mental health issue, and should, in fact, be explored, diagnosed and treated by a licensed therapist. Marking time for self-care is often one of the the most difficult tasks to follow through on, but one of the most important. Do it. You are worth it. Your body will thank you; your mind will thank you; your family, friends and co-workers will thank you; most importantly, you will thank yourself for making you a priority. Self care methods can fall under a wide umbrella, and now there is any number of alternative, holistic modalities that one can pursue. The key is finding what you, as an individual, find to be the most calming and therapeutic. Exercise, meditation, massage, mindfulness practice, writing/journaling and even coloring are all forms of self care. At the same time, reminding yourself to take a day off, cook and/or eat a favorite meal or snack, or simply reading or writing a letter can be helpful. Others may find it more remedial to catch up with friends and family, and experts also agree that the care and keeping a pet is remarkably beneficial and therapeutic. However, self care sometimes boils down to simply reminding yourself of your own value and worth. People achieve this in various ways; some may work to get physical markers of success, whereas others may stick to simple lists of their best qualities and skills. Some people need a more intimate connection with another human being; a confidante with someone, or just a calming touch – they can simply turn to touch therapy or cuddling. Today, touch therapy proves to be a pioneering phenomenon; it combines the immersive comforts of physical touch through a therapeutic cuddling session with the benefits of a one-on-one mindful connection in a safe, judgment free space. Humans instinctively find comfort in touch and reassurance: we hold hands during times of fear or happiness; we embrace the bereaved or joyous; we sometimes communicate entirely through touch and physical contact. It is for this reason that touch therapy is an excellent way to alleviate stress, anxiety, and general feelings of discontent and loneliness. Moreover, it works wonders in even strengthening a weak immune system. The effects are both physical and psychological. Our skin is the largest organ of our body and is very responsive and sensitive. Even a gentle touch releases the hormone “oxytocin” – the feel-good hormone – which helps relieve stress, lessen anxiety, depression and creates a sense of happiness and well being. Platonic touch has been proven to release oxytocin in the brain, the feel good hormone, and studies show the giving or receiving of affection in ways such as hugging, cuddling, holding hands, etc. can help us feel better, relieve physical pain, reduce anxiety and instill a sense of calm. The feel-good hormone released during physical touch has been proven, over time, to lower blood pressure and reduce the risk of heart disease. By having daily physical contact with someone, you can decrease stress, increase relaxation, and improved sleep. Individuals who are touch deprived are usually less satisfied in their lives and relationships and may suffer from reduced self-esteem. Touch deprivation can leave a person feeling disconnected and lonely from people, and society in general. By engaging in regular physical contact with others, one can significantly increase their overall sense of well-being. Resolutions, or No Resolutions: that is the question. There’s no better time to be encouraged to make a positive change for your personal wellness than now. Sadly, though, many people actually experience the very opposite of encouragement shortly after the New Year. We have all of these ideas and visions of how we will better our health, mental and physical. However, often the reality and stress of everyday life pushes us right back to where we started. Sound familiar? If you haven’t given up, then you haven’t failed. Self-improvement is more difficult than most want to admit. Ups and downs are normal: you feel under the weather; the stress at your job is over the top; family issues creep in, etc. These are just a few samples of the challenges that can stand between you and your goals and you’ll drop the ball a few times. The important thing is to keep going in the right direction regardless of setbacks. Life isn’t always black and white, and if we evaluate our progress within such constraints, you’ll no doubt wind up with two contradictory assessments of your progress. One day, you’ll feel like you’re awesome, the next, well anything other than awesome. In order to avoid this pitfall, keep a small journal of your progress. It can be as simple as putting a checkmark every day you walk, refrain from processed foods, or any other goal that’s important to you. When black and white thinking rears its ugly head, go to your journal; you’ll have proof to counter back with. Shades of gray are your friend. Regardless of your intentions, don’t expect to start a rigorous daily exercise regimen, avoid all sweets/processed foods, practice deep breathing, and read a book a day out of the gate. Yes, that’s a bit of an exaggeration, but you get the point. If you try to do too much at once, you’ll no doubt become overwhelmed, throw your hands up and quit. Pick one thing most important to you that will positively impact your health and wellness in 2017. Once you master that one, making it part of a healthy life change, move on to another, then another. Here’s to a stronger, healthier you, mind, body and soul in the New Year and years to come! 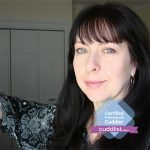 Karen is a Professional Cuddler with Cuddlist.com and she is based out of New Jersey(Hunterdon County, NJ / Lebanon and Clinton). Karen is a student member of the National Health Alliance, studying towards a ‘Cuddle Professionals International’ diploma & a sustaining member of the Association of Nature and Forest Therapy Guides and Programs (ANFT). View Karen’s profile and book a session with her here.